July « 2017 « Blog Marcos L. Mucheroni Philosophy, Noosphere and Ciberculture. 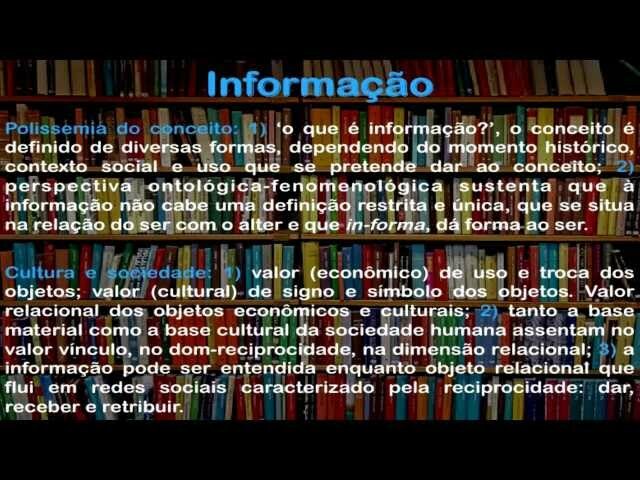 I read the book of the creator of the World Forum of Economics, Klaus Schwab, it is amazing the scenario that describes, going through the digital world calls the digital cash accounting system, the blockchain, “book-reason distributed” (mistranslated in portuguese that is book-box) by stating that “it creates trust by allowing people who do not know (and thus have no underlying basis of trust) to collaborate without having to go through a neutral central authority – that is, a central accounting or depository. “(Schwab, 2016, 27), going from the physical category to the biological world, but perhaps something is lacking: a” soul “for all this. Skeptics and fundamentalists will continue to cry: unfair! Power of technoscience! An authentic dehumanization! Yes it may be, but simply protesting or twisting the nose will not make the rapid and dizzying advance of technology receding, not even the ecological appeal, more technology is often more ecology, see the LEDs, solar energy and control now possible by Sensing devices in plants, forests and even microorganisms. Perhaps a problem that deserves serious questioning is inequality, but Schwab did not shy away from it by explaining the emergence of “innovation-oriented ecosystems, offering new ideas, business models, products and services on pages 94-95. Those people who can only offer less skilled jobs or common capital “(Schwab, 2016, p.94), and concludes” the present world is very unequal “(p.95). The phenomenon of inequality is undoubtedly the most worrying, even in countries that can be thought less unequal, the Gini index for example in China, the author points out, rose from 30 in the 1980s to 45 in 2010. It further points out that levels of inequality: “increase segregation and reduce the educational outcomes of children and young adults.” (Ibid., 95), this has changed, for example, the so-called “middle class” pattern in the USA and United Kingdom has the price of “a luxury good,” says the author. Contrary to what one might think, the Global Risks Report of the 2016 World Forum speaks of “de-empowerment” of the citizen, although there are campaigns like “get-out-the-vote”, since in Many countries voting is not mandatory, but the content we consume online are miserable, lack truth and fact, and they influence it. The author does not lack the concepts of identity, morality and ethics, expressed in the chapter on page 100, talks about OpenAI, an initiative chaired by Sam Altman, president of Y Cominator and Elon Musk and CEO of the revolutionary Tesla Motors, who believes that the best way To develop the AI is to make it free for all and to make it be invested to improve human beings, but its program is abstract and unrealistic, although it presents it in the H frame the ethical limit. It is necessary to discover in the fissures of the technological advance aspects of development of human sensibility, of appreciation for the Other, where collaborative and coworking environments favor this, but what you hear is still a fundamentalist shout against technology. Finding treasures and insights in our lives is something rare, we would say almost impossible, but with attentive eyes and a totally clean mind it is possible for someone to find it, and as the Bible passage says, sell everything you have to buy a treasure (Matthew 13 , 44), but where the treasure is, we are in contention or available to all. 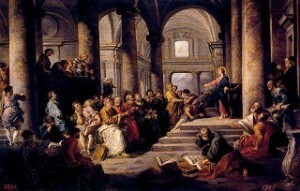 We must remember other passages even though Jesus goes against the Pharisees, it is not a dispute only, but to find their “differences” those who should actually be closer, since they were the religious of the time, but in fact, If distant. Yes it is possible to be only attached to a “dispute”, as well as fans of sporting events in which polarization is necessary, but this is not a question of this, but a treasure available to all, and this depends on actually understanding what treasure is If speaking, not only our good but that of all, without exception. We must remember other passages even though Jesus goes against the Pharisees, it is not a dispute only, but to find their “differends” those who should actually be closer, since they were the religious of the time, but in fact, If distant. Going to those who could represent the “worst enemies” is a proactive attitude to the differences, as well as wisdom because they are the main pole of conflict, it is also a path to clarification that can lead to the discovery of discoveries and real treasures, but the “dispute” we would say as rivals in sports where only one wins is pure ignorance, because it is not the victory of only one as it is in sport, but of enlightenment from the Word, or the phrase as Lyotard wanted. Exploring what he calls a linguistic shift, an ironic expression with the linguistic turning, one of the three great turns of our time, the other two are the ontological turning and the revenge of the sacred, as some authors call it. Whoever finds a treasure, contrary to the accumulation of wealth common in our time, must think that true wealth is available to all and not just “the elects”, is to be offered to all. He then proposes that the first differend (yes the word does not exist in english, therefore the definition above), this should be by listening but in the sense of the damage that a phrase suffers since it is “chained” by other phrases, Which thus leads to the solitude and contingency of his free, indeterminate and singular being, something as it was in childhood. What Lyotard proposes is an ontological difference, for the phrase presents its contingent and indeterminate being, is seen to be forced to adapt to the rules of its placement and thus become an “entity,” in this case the phrase, and Hence it penetrates into what Heidegger called Dasein. In Lyotard’s doctrine it is necessary to “laicize” and “de-anthropomorphize” the philosophical attitude of listening, withdrawing it from the cult wrapping and claiming the meaning to be attributed to the mysterious recipient that is the Being, that is, The phrase “speaks” and with what meaning. 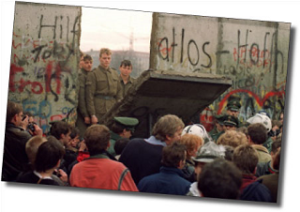 So the “question phrase” has a fundamental question: What happens? So if the first ontological dispute listens, the “nascent sentence” should not be re-presented and leave no victim, using Lyotard’s language if the phrase “well educated”, the difference heals. He then creates some “quasi-phrases” which are not dissimulated feelings, but the sense of a “phrase in instance,” in the author’s words: “A feeling is as if waiting for its formulation.” (Lyotard 1983, P.59). In this way he presents three exemplary cases of this phrase in an instance, using imperial imperial Rome: the reality of a fact can only be verified if a “definitional phrase” in the example: “It is the capital of the empire” (page 68-72) (“It is this”) due to a “nominative phrase” (“It is Rome”) that brings them together in a “Cognitive phrase” (“Rome is the capital of the empire”) (Lyotard, 1983 , 68-72), will also give another example of the Jews in the gas chamber, I do not consider a good example because there is a political aspect of Nazism, I purposefully understand, but I believe there are no “good reasons” to deny the reality of the holocaust, but second war is orign of posmodernity. The possible conclusion of the Lyotard of the Postmodern Condition (1979) is that the pragmatics of the rules governing the language game of science redefined its objectives, methods, and functions (Lyotard, 1979, pp. 47 and 104), where partners Are called to participate directly in the meta-rules that order social, professional and private life. 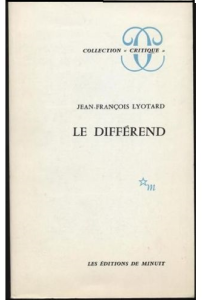 However, from the opening pages of his book Le différend (1983) he took a much more radical position than the previous inspiration, recognizing the merits of liberation from “different” practices and grammars (this is the central theme of the new Lyotard), linguistic practices (Gadamer also redefined the latter), considered the risk of the “anthropomorphic subject” that transcendental that was intended owner and user of the language. The subject is not the “virtual user” the sender of the language, it must be defined in three other instances: recipient, meaning and reference; There is a “happening” and a “presenting”. What gives this opening power of language is the phrase, “opening and closing power of the universe,” temporal giving instance of Being, an ontological event that presents a universe arising from silence and Nothingness that separates each phrase from any other phrase. Language operates a “withdrawal” that reduces the singular and contingent being presented by the phrase to an ontic state dominated by “almost necessary” threads that cover the Nothingness and silence consubstantial with each phrase. Thus, “destinator, recipient, meaning and reference” are the instances that constitute the open universe, by a phrase, the instances that all the sentence presents at the moment of its occurrence, at the moment of its unpredictable and contingent event. There are several references of the above said, as the function of Lyotard’s envisager in ch. 1, pages 30 and 31, and also notes on Frege in Chapter 2, especially note 3. It is not so simple, but there is in this work a passage from the “pragmatic” to the “ontological”. Lyotard, J. The Postmodern Condition. Paris: Minuit, 1979. In 1979 Jean-François Lyotard launched the classic book, “The Postmodern Condition,” where he already proposed the political crisis, calling it a sophist in the sense that reformulates the problem of democracy as follows: speech politics the fashion of the sophists founded on Democratic opinion, and politics of universalist dimension of Kant, consecrated in the model of Hegelian state and in the social contract. The point of contention with Habermas is that Lyotard regards as unsatisfactory and fragile the articulation between what is direct and de facto, the articulation that makes it on the one hand too abstract and, on the other, too factual, nor the consensus of the contract that is Fragile, and what could be considered the practicality of “facts” with absent utopia. But Lyotard’s critique does not stop there, he found it in a game of language called a double analogy, between the “practical-political” and another “cognitive” of science that would be “de facto” (factual reality). Thus the first part is based on a critique of the systemic criterion of communication proposed by Luhmann, but the theories of relativity and quantum, the “open systems”, the theories of catastrophes and chaos, among others, do not fail to make references. The second part of the Lyotardian solution comes from legitimizing a path of law, aiming to criticize the methodological foundations of consensus theory, from Bachelard, Kuhn, Feyerabend and Serres, which are attempts to revitalize the “scientific” way of working the facts. As a consequence two complementary types of pragmatism. 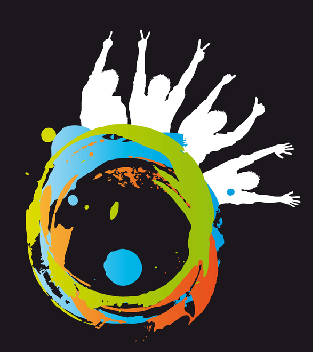 Although he disagrees with pragmatics, what he calls “legitimation by paralogia” that is the participation of “social communities”, there is the misconception between combining science and politics, there is a positive aspect of making criticism in which the power of the The West can not regard itself as superior to the play of narrative language, which we find in primitive cultures, since a metanarrative borrowed from Plato to philosophy (Lyotard 1979: 51). 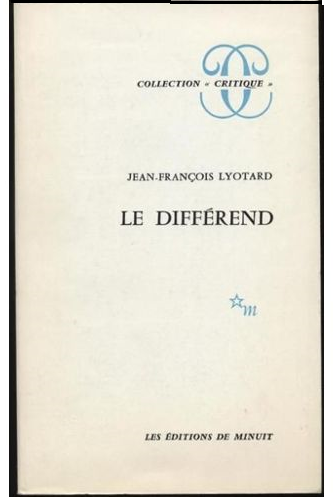 The universe of post-truth discourse is therefore a paralogy, invented by the cynical reason of present times, there is nothing else that Lyotard calls in another book Le différend, the differences, that are different in a logic of conflict, with discourses made in Different. Lyotard, J.F. Le Condition postmoderne. Paris: Minuit, 1979. 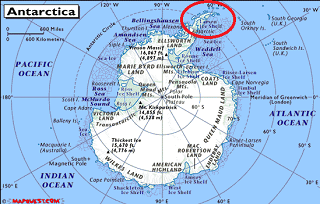 One of the top ten came from Antarctica, the icy continent of the South Pole, to the point where this continent could change its geography by losing one end, said Adrian Luckman, a professor at the University of Swansea and principal investigator of the Midas Project, which monitors his platform since 2014. According Luckman “the iceberg is one of the largest recorded and its future progress is difficult to predict,” and added that this ice island, “may continue to be assembled in a single piece, but is more likely to separate into fragments. Some of the ice can continue in the area for decades and parts of the iceberg can float north and into warmer watert“the iceberg weighs more than one trillion tons, and measures 5,800 square kilometers (an area that is, for example, four times bigger than the city of São Paulo or equivalent to the Brazilian Federal District), has been released from the ice shelf Larsen C of Antarctica, between On 10 and 12 July 2017, according to researchers from Universities of Swansea and Aberystwyth, Wales, and the British Antartic Research Institute (BAS). The Midas project website does not state that Whether due to global warming, this “scientific” proof is a bit more complex. The event, although something similar happened in 2013, makes unquestionable global warming and the consequences that can be devastating over the years if we continue in climatic imbalances, such as the fires recorded in Europe and cold in southern Latin America, As we did last week. It is good to remember that the Trump administration unilaterally broke the climate agreements, and despite all pressure, especially the European, remains reluctant against the evidence that we must make the planet sustainable, and that we can move towards a huge climatic catastrophe with consequences In the life of the whole planet.h. Contemporary ethics underwent transformations, but its origin is in the classical period as much of Plato as Aristotle developed it, we emphasize that it is important analysis the Plato’s Republic as well as Aristotle’s Politics considering the ethics of being, that is, ethics Ontological and from it the politics as promoter of justice. Aristotle clarifies that justice and injustice may be ambiguous terms because of the proximity of terms, but as “ambiguity is not noticed, whereas in the case of very different things designated by a common expression, ambiguity is comparatively obvious …” (Aristotle, 2001, 91. The fact that several authors treat as ambivalence and little realize that there is also an ambiguity means that they perceive the problem of values ​​while not perceiving the different application of them, Aristotle stated: “the term ‘unjust’ applies both to people who infringe upon Law as ambitious people (in the sense that they want more than what they are entitled to) and wicked, in such a way that law-abiding and righteous people will be just. The righteous, then, is that which is lawful and right, the unjust is the unlawful and unjust “(Aristotle, 2001, 91-92). So in Aristotle, unlike for modern man, the unlawful and unjust, the ethical and moral approaches, then there is no ambiguity or ambivalence about what they do. In Modernity as Ethics is established by a state ethic, the contract established from Hobbes’s Leviathan to Rousseau’s Social Contract what was established was a social form for what is legal, confining in private and personal what would be the Iniquitously, curiously and wisely the Holy Bible will always refer to the wicked one, whose person attitudes are neither ethical nor moral. 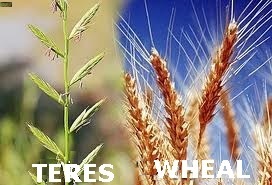 The parable of the Tares and Wheat, the tares are those born in the midst of wheat but do not produce the grains of wheat, and can only be separated after harvest, so is iniquity, are individual grains of injustice and unethical , Regardless of the laws of the state and contracts that are fair or not, will grow and live together in society, but produce different harvests. This is not a purely moralistic or fundamentalist interpretation, which is ethical, produces fruits of equity, which are the individual grains, how these grains are people, can exercise their free will to produce useful grains of wheat. ARISTÓTELES, Ética a Nicômaco. Tradução do grego, introdução e notas Mário de Gama Kury, 4ª. ed. Brasilia: Editora Universidade de Brasilia, 2001. The Romans initially believed that the king’s origin was divine and established the Monarchy, but later in 509 BC, they overthrown the Etruscan king Tarquinius the Great and founded the Roman Republic by establishing two magistrates as a government. At the beginning of the Republic, Roman society was divided into four classes: Patricians, Clients, Plebeians and Slaves, generally peoples who were defeated in wars. 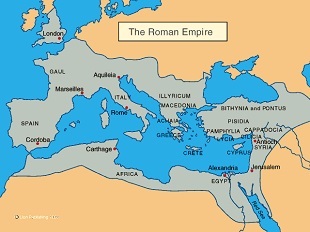 Among these wars, it stands out more than 100 years against Carthage, the Punic Wars and then wars in the Iberian Peninsula (conquest that took more than 200 years), Gaul and the Eastern Mediterranean. The occupied territories were transformed into provinces, they were forced to pay taxes to the government of Rome and gradually, the Roman army became an unbeatable group. – Autonomous allies (they made treaties of alliance with Rome). The army built roads throughout the Italian peninsula also contributed to explain the Roman conquests, were experts in mounting fortifications. Military discipline was severe and punishment consisted of beatings and beheadings. The winning soldiers received awards and honors and the general was honored, while the losers were beheaded in prisons. Successive victories provoked great social, economic and political changes in Rome, but already in the fourth century AD, there were signs of decay. In contrast to Plato, which formation should be the man of the Republic, the whole of Aristotle’s work goes beyond politics, or sees it in a broader sense, for it deals with what human affairs develop within the space of a city (the polis). Among these subjects, Politics was probably classes given to his students in the Lyceum and recorded by them, it is also possible that they are reflections of the period in which he was preceptor of Alexander of Macedon, and his father Nicomaco (to whom he wrote an ethic) was Doctor of the father of Alexander, Felipe II. 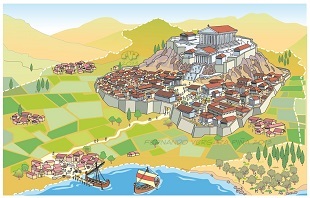 Aristotle examines the Greek cities themselves, analyzes them and sees which constitutions were good, and which favored Eudaimonia (the ‘good’ and the ‘daimon’), sometimes translated as ‘the common good’ However, this category is more modern, and along with these concepts of its political philosophy, three are equally important: the areté (generally translated as “virtue” or “excellence”) and “phronesis” (often translated “wisdom Practice “), and the ethics that define how this good genius is achieved. It is therefore advisable to read the policy together with “Nicomoco Ethics,” so that the concepts are confused, and improperly upgraded into a-temporal categories. The main work of Plato was written around 380 BC, is a speech developed in philosophical, political and social terms. Its problem is the search for a formula that ensures harmony to a city, trying since that time to unlock private interests and disputes, as the sophists wanted. This dialogue takes place in the house of Polemarco, brother of Lysias and Euthydemus, son of the old Cefalus, and there are the two brothers of Plato, Glauco and Adimanto; Nicerato, in addition to the host Polemarco, Lísias, Cefalus and Thrasymachus. 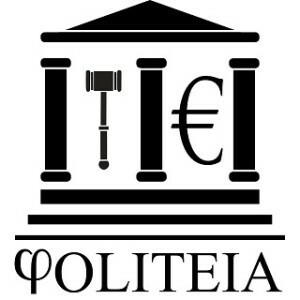 Thrasymachus is the sophist, Plato’s dialectical method is of dialogue and not of strife, the sophist argues that force is a right, and that justice is guaranteed by the strongest, so determines that the unjust can transgress its rules, Then it is said that they do not exist. 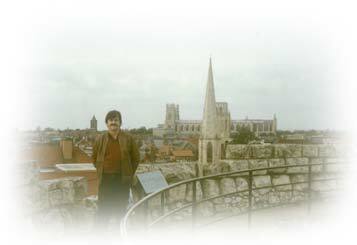 Books I and II are the first attempt to define what the application of justice to the community would really be, in Socrates’ dialogue with Glaucon and Adimanto, explains that justice is superior to injustice, and that alone leads to happiness. Thus from the books II to V the dialogues will evolve to affirm what are the principles of justice, that is, what constitutes the true justice administered to the population, principle of its Republic. From the books VI and VII evolve the principles of what the needs of justice itself are, it is where the famous allegory of the Cave appears, where they are trying to show that truth can be attained through knowledge, and therefore, justice depends on Know it, so the myth is mainly the fact that men “in the cave” only see shadows. Books VIII and IX, develop the themes on the decadence of the city, which for Plato is due to the concentration of power in the oligarchies and the emergence of tyranny. Book X makes a critique of poetry as an educational medium, this is not secondary, but fundamental to understand that the problem from the beginning of modernity is this conflict defended by Plato putting it in the mouth of Socrates that poetry should be replaced by Philosophy, educational environment, we would say today more “objective”, more real. The rest of the book brings an exhortation to the practice of justice and other virtues, these are only indications for reading, which is nothing but looking at our deep roots.